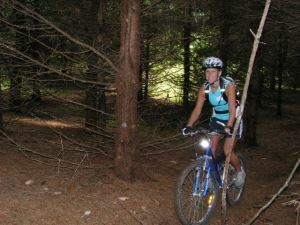 Two full service bike shops, Bike Board and Ski and Mojo Sports are located in Presque Isle. Bike Board and Ski's phone number is 769-2453 and they are located at 428 Main Street. Mojo Sports' phone number is 760-9500 and they are located at 30 North St. Both shops will hook you up with a local rider and/or a trail map. Group rides are generally on Mondays and Wednesdays with start times varying depending on the season. Call ahead to check on weekday and weekend ride times.